Organizer and coordinator of SWOP’s community food justice initiative, “Project Feed the Hood”. 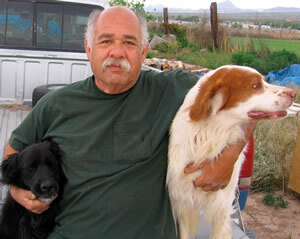 His family has been sustainably farming in the communities of Northern New Mexico for many generations. Project Feed the Hood is based in traditional methods of farming and seed saving that are both sustainable and culturally relevant. 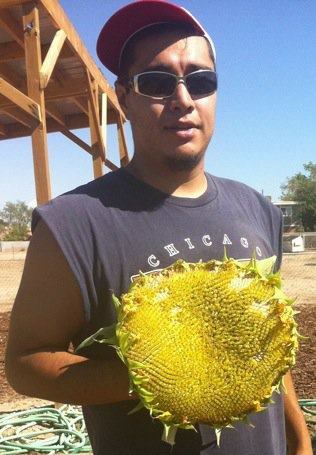 Rodrigo and his fellow SWOP gardeners maintain a large seed library and host many workshops to assist community members, schools, and other community groups seeking to grow food and build healthy communities and lifestyles all over the state of NM. Rodrigo started at SWOP as a youth intern in 2006. Stefany Olivas grew up in the small agricultural Town of Bernalillo, just North of Albuquerque New Mexico. She has always had the biggest interests in nature and in making food. Not until majoring in Biology at the local community college and beginning to work in community gardens did she realize a way to combine her passions. With Project Feed the Hood she hopes to gain an understanding of how we grow and process and consume food, and what the presence of a growing space can have on the local environment and community health. FoodCorps Fellow. No bio yet.